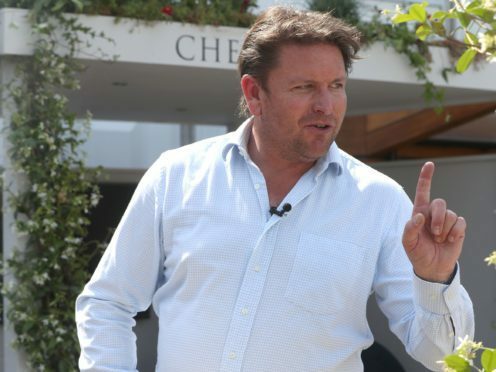 James Martin has said Strictly Come Dancing couples are going “downhill at 100 miles per hour” in the fevered atmosphere of the show. Recalling his time on the show, the chef and former contestant on Strictly said the vast audiences and popularity of the programme create a bubble for the competing couples. Martin took to the dancefloor in 2005 and made it to week nine of the show with partner Camilla Dallerup. He has commented on the so-called “Strictly curse” which led to headlines surrounding Seann Walsh and Katya Jones, and provoked an apology from the pair. Martin, currently touring his live show, said: “You are in this snowball, and it’s going downhill at 100 miles per hour. You are going in there and you don’t realise what you are walking into. “It’s a bubble that you are in, and there’s nothing like it. “And there is nothing else like it on TV in terms of audience, and the sway that the show has. It’s the biggest thing the BBC does. Martin has set out on his own series of dazzling shows, travelling the country with his On The Road Again tour. After his successful tour in 2016, he has noticed other celebrity chefs announcing live shows. He said: “They are welcome to it. I think they will struggle, because of the mount of work they will have to put into it. If chefs want to have a go at it, they’re free to. Martin has said he is happy with his ITV slot on Saturday morning, and despite his mother betting on him to take on a Top Gear presenter’s role, he is no closer to hosting the show. The chef is part way through a 22-date tour, ending at Harrogate in his native Yorkshire.